GO Seminary of the Americas provides practical, sustainable, intensive biblical and theological training in ministry to local leaders. We are committed to leadership multiplication and sparking Gospel movements as we seek to redeem people, renew communities and restore creation. On average, only 25% of the Dominican population finishes high school. As the country continues to make strong efforts to enhance its educational system, 75% of today’s adults do their best with limited education. Many local Christian leaders are passionate about the Gospel but lack adequate ministry training due to its unavailability and their limited education. 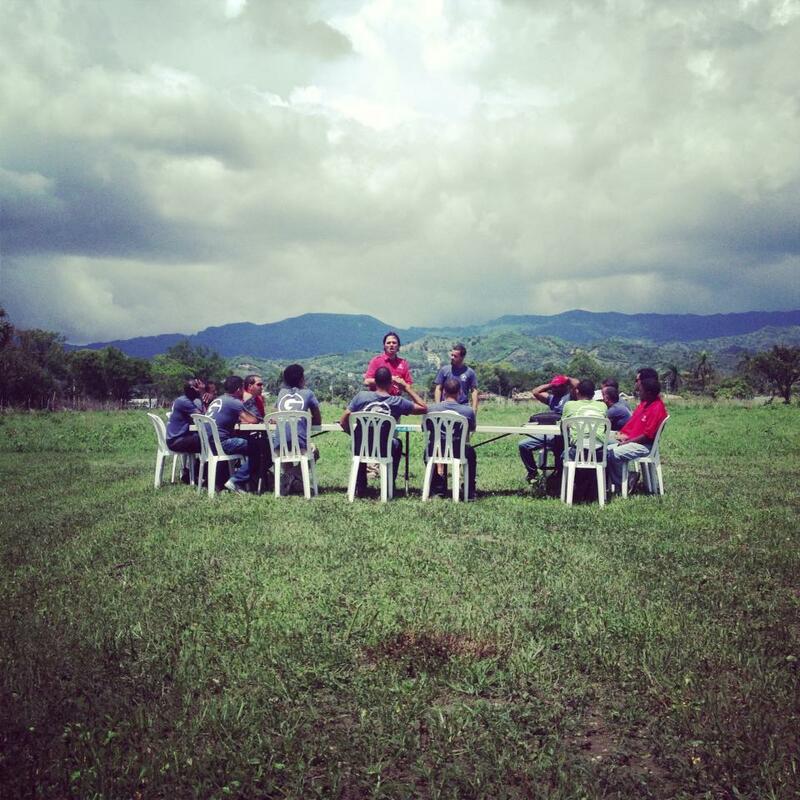 The GO Seminary of the Americas uniquely responds to these issues by providing a contextualized approach to training; meeting our students from various educational backgrounds where they are. 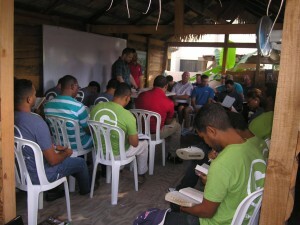 Through the GO Seminary, Teachers and Pastors from the Dominican Republic and the United States have partnered together to indigenize theological and ministry training resources on the island in order to establish a sustainable means of training that can replicate itself on the island of Hispaniola and beyond. GO Seminary is currently training established pastors and emerging leaders who will go back and strengthen local churches as well as leaders that will go on to plant new missional churches. We currently offer the full-time program (nearly 1300 instruction hours), the Church Planting Intensive Track (288 instruction hours), the Apollos Project (144 instruction hours), the Apollos Project in prisons (144 instruction hours) as well as the Mary Initiative which is a women’s leadership outreach (72 instruction hours). In the GO Seminary of the Americas, students are required to complete nearly 1300 hours of coursework over three years before completing their 4th year of practical application. Our programs are designed to reawaken the missional call of the local church and to cultivate Christian community through our cohort approach to education. We foster a solid team leadership approach to ministry that engages culture and community for the sake of furthering the Kingdom of God. We produce teams of Gospel-centered leaders whose service and combined leadership result in the fingerprints of the local church being all over the community so much so that even if the community hated some of what they believed they would grieve if they were gone because they had loved them so well, that churches would have loved their communities so well that those communities would feel diminished by the church’s absence. You can help by sponsoring a scholarship of $50 a month or more for four years to help cover the cost of educating our students. You may contribute monthly at $100 a month or more to fund our general seminary operations. Your investment prepares a student for solid theological and ministry training and empowers him or her to assault the gates of hell in radical ways, advancing the Kingdom of God. Go Ministries Leadership Development Complex will provide room to facilitate the GO Seminary of the America’s rapid growth and impact – creating residential space and work-study opportunities for students. This will include instructional space, a computer lab, a library, a conference area, laboratories and residential living space for our students. It will also allow us to expand our educational programs beyond our current theological offerings to include a school of church planting, a school of worship, and a school of pastoral counseling. The synergy built due to the proximity and collaboration between the areas of sports, vocation and Kingdom business development will help us cultivate gospel-centered leaders in every walk of life. Capacity with five cohorts is 15 per cohort due to space. Maximum of 75 full-time students each semester. Time commitment = inability to earn a living = Full-time students are limited. Graduated 16 students representing two cohorts. 35 enrolled in a full-time program (1300 hours of instruction time) across five cohorts. Two cohorts in the Apollos Project (150 hours of instruction time) numbering 35 at Seminary. Prison Apollos Project in 2 prisons with two cohorts – numbering 35 and 22. The Leadership Development Complex GO Seminary will increase full-time student capacity to 396 students with residential space for up to 24 women and 72 men. Work Study Program – working on Leadership Development Complex campus – Students not limited by the need for work – Work can be scheduled around seminary requirements. Many local Christian leaders are passionate about the Gospel but lack adequate ministry training due to its unavailability and their own limited education. The GO Seminary of the Americas uniquely responds to these issues by providing a contextualized approach to training; meeting our students from various educational backgrounds where they are. The Seminary of the Americas exists to provide practical, sustainable, intensive biblical and theological training in ministry to local leaders for the purpose of multiplying healthy leadership in the church that advances the Kingdom of God by faithfully seeking to REDEEM people, RENEW communities and RESTORE creation. In the Spring of 2012 we began promoting the multiplication of missional leadership and Gospel centered community engagement by launching our four year seminary program with our first cohort of 11 students. A typical seminary in the Dominican Republic meets every Saturday for 3 hours for one year upon which one’s training is considered complete. In the GO Seminary of the Americas, students are required to complete nearly 1300 hours of course work over 3 years before completing their 4th year of Incarnational Practicum. Our four year program is designed to reawaken the missional call of the local church and to cultivate Christian community through our cohort approach to education while also fostering a solid team leadership approach to ministry that engages culture and community for the sake of furthering the Kingdom of God. Our goal is to produce teams of Gospel centered leaders whose service and combined leadership result in the fingerprints of the Church being all over the community it calls home, serving it in such profound ways that should the Church be removed the neighbors would grieve their loss even if they failed to believe what the church professes. By the Spring of 2015 the number of contributors to the life of the GO Seminary of the Americas grew from 4 to 13. The student body grew from one cohort of 11 to 3 cohorts adding up to 36 students while expecting to add another cohort of 15 in the fall of 2015. Teachers and pastors from the Dominican Republic and United States have partnered together in an effort to indigenize theological and ministry training resources on the island in order to establish a sustainable means of training that can replicate itself on the island of Hispaniola and beyond. We are currently training established pastors and emerging leaders who will go back and strengthen local churches as well as leaders that will go on to plant new missional churches. We will launch teams of Gospel centered leaders into the world to make disciples of all nations. They will strengthen local churches and plant reproducing churches locally and abroad bringing the mission of Christ into every aspect of human life. We have very limited space that we currently rent and are excited about the future permanent location of the seminary at the GO Leadership Development Complex. You can help by sponsoring a scholarship of $50 a month or more for 4 years to help cover the cost of educating our students. Your investment prepares a student for solid theological and ministry training and empowers him or her to assault the gates of hell in radical ways, advancing the Kingdom of God.